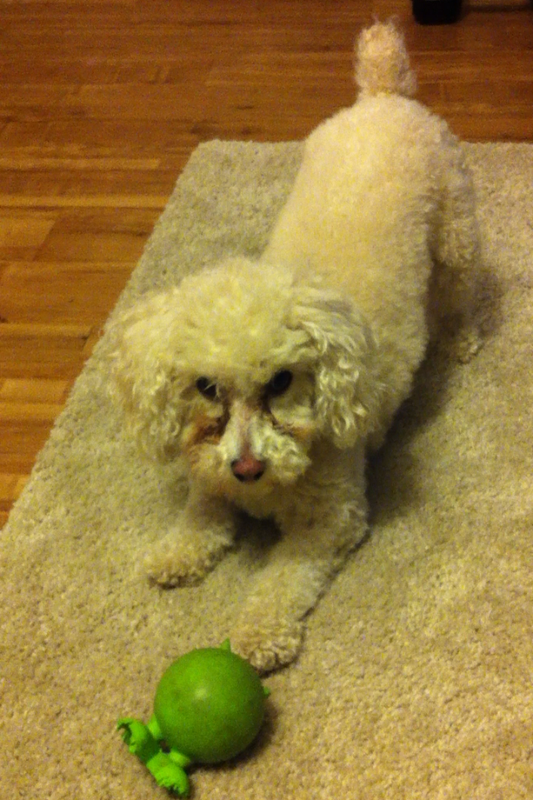 Oh ya know, just a Friday night in procrastinating from doing some reading for school by switching off between playing with my dog and whipping up some food in the kitchen. I feel like that is how I spend 60% of my life. But, honestly, could you say no to this face? Seeing as how every day I get a lot of people coming to my blog for the Pumpkin Spice Oatmeal page, I figured I would dish out another Pumpkin Spice related recipe as that seems to be an ‘it’ thing right now. 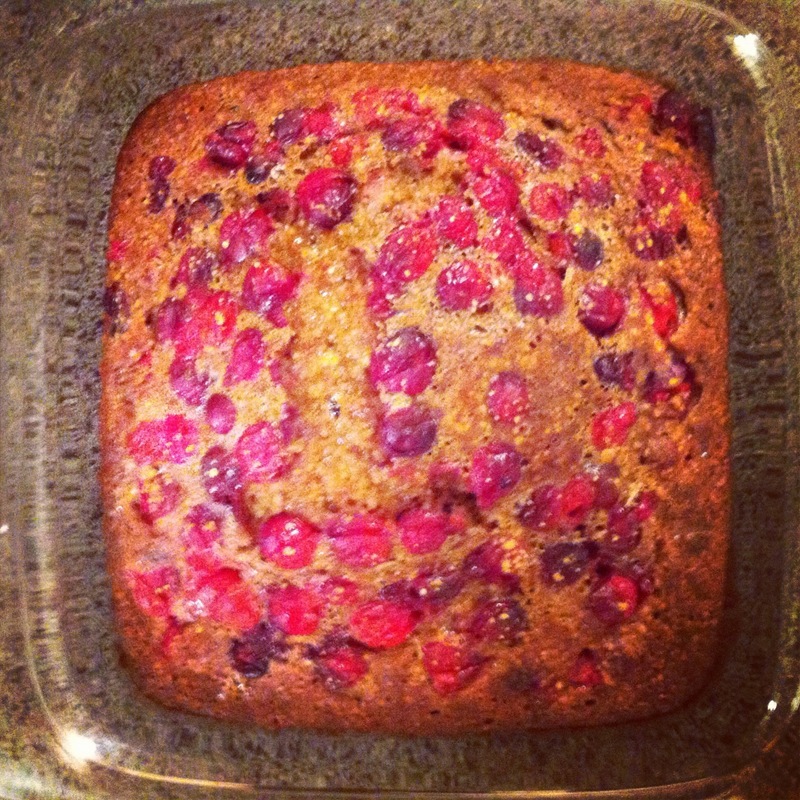 So, I give you: Paleo Cranberry Pumpkin Spice Protein Breakfast Cake. Say that 5 times fast. It’s just a variation on the lemon blueberry. More appropriate for fall/upcoming thanksgiving holiday. 1. Mix the eggs, pumpkin, coconut oil, vanilla extract and maple syrup together in a bowl. 2. Mix in flour, salt, baking soda and pumpkin spice. 3. Stir until combined. Slowly stir in cranberries. 4. Pour into baking container. I used one about 8*8, but any size will work as long as you check it now and then to make sure it’s not cooking too fast. 5. Bake on 350 for about 30 minutes, or until no batter sticks to a knife when you stick it into the cake to the bottom. This entry was posted in Uncategorized and tagged clean eating, CrossFit, diet, Paleo, pumpkin spice, Recipe by fionaboger. Bookmark the permalink. Yum! This is a great fall recipe! This looks amazing! And I love the header to your blog. It’s practically my life philosophy: One life to live. Live it well. Only way to live life! Thanks for stopping by!